Popular culture is finding ever-greater purchase in the International Relations (IR) classroom. This is a reflection of the wealth of recent scholarship linking IR and geopolitics to popular culture, but also a realisation on the part of instructors that their students possess a helpful fluency in popular culture. This skill set allows for the employment of an intellectual shorthand that accelerates learning, facilitates critical analysis, and enables thoughtful discussions and debate. In this article, I will discuss the ways in which the genre of science fiction (sf) can be utilised to engage with the subject of geopolitics and, more specifically, imperial geopolitics. While the main focus of this piece is on pedagogy, I will also comment on current research trends in critical IR/popular geopolitics and how scholarly work on the popular culture-world politics continuum (Grayson et al. 2009) scaffolds what occurs in the (pop) IR classroom. Sf is a genre of space (terrain, topography, ‘zones’, etc. ), as well as outer space. With few exceptions, sf deals with questions of exploration (of territory), exploitation (of resources) and control (of others, usually via technology). Consequently, there is an explicit link to imperialism, defined as ‘the maintenance (or expansion) of national power at the expense of other, less empowered, countries through methods of governance at a distance’ (Dittmer 2010, p. 55). 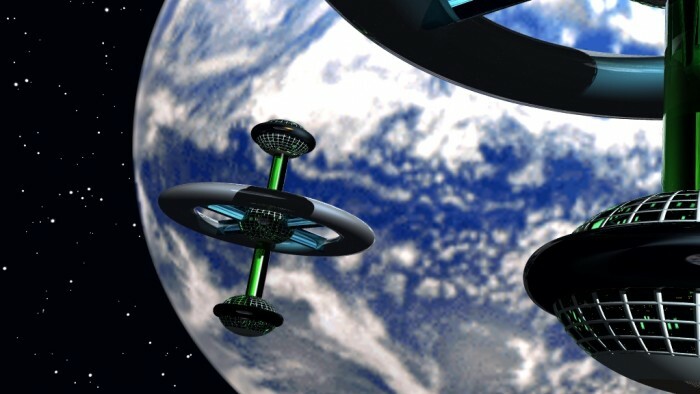 It has been argued that sf – especially the most dominant subgenre of sf, tales of extraterrestrial voyages and encounters – emerged as a response to the effective end of terrestrial conquest, i.e. the end of (Western) imperial expansion (see, for instance, Rieder 2008). We know that when Alexander saw the breadth of his domain, he wept, for there were no more worlds to conquer; however, ‘having no place on Earth left for the radical exoticism of unexplored territory,’ nineteenth-century writers – ersatz imperialists of the imagination – simply ‘invented places elsewhere’ (Rieder 2008, p. 4). These imperial imaginaries took many forms, from Edgar Rice Burroughs’ ‘Mars’ to Jules Verne’s ‘inner Earth’ to H. G. Wells’ ‘Earth A.D. 802,701’. Throughout the twentieth century, the links between sf and colonisation only intensified; according to Csicsery-Ronay, ‘[t]he dominant sf nations are precisely those that attempted to expand beyond their national borders in imperial projects: Britain, France, Germany, Soviet Russia, Japan and the US’ (2003, p. 231). Sf then not only reflects imperial ideology, it is also the product of it. With the advent of the Cold War, sf steadily morphed into a medium for global ideological contestation and identity negotiation, while comfortably retaining many of its imperialist connotations. As Dittmer (2010) points out, Star Trek, one of the most successful sf franchises of the past century, scripted an intergalactic competition between a peace-loving ‘federation’ (the US and its NATO allies) and a war-mongering ‘empire’ (the USSR and its Eastern Bloc satellites). As popular culture, such representations of place, space and people – especially through allegory – serve as a form of propaganda, or at least a kind of ideological pedagogy. The relationship between (imperial) geopolitics and sf arguably reached its apex in the first years of the Reagan administration, when the former B-movie actor-turned-leader of the ‘free world’ began to label the Soviet Union the ‘Evil Empire’ while touting his ‘Star Wars’ Strategic Defense Initiative (SDI). In fact, both discursive devices made use of the enormous cultural resonance of George Lucas’ space operas A New Hope (1977) and The Empire Strikes Back (1980), thus affirming the world politics–popular culture nexus in the context of Mutually Assured Destruction (Kramer 1999). Since the end of the Cold War and the implementation of the Global War on Terror (GWOT), sf has adapted to the realities of this new world order, continuing to interrogate questions of imperial power but with an increasingly postmodern geopolitical eye. This subtle shift has attracted the interest of IR scholars, with representative examples including how Battlestar Galactica interpolated 9/11 and the US occupation of Iraq (Buzan 2010; Kiersey and Neumann 2013), the role of Doctor Who in shaping British post-imperial engagement with its various ‘Others’ (Dixit 2012; Gupta 2013), and how the explosion of zombie sf functioned as a manifestation of globalised fear of uncontrolled borders (May 2010; Morrissette 2014). While there are many similarities between the literary-political discourses of Cold War sf and its GWOT equivalent (particularly the notions of securitisation and the preservation of ‘freedom’), it is important to recognise one important shift since the turn of the millennium: the competition between ‘globalisation’ (read neoliberalism) and ‘localisation’ (read autarky) has come to the fore (see Barber, 1996). As this competition between globalism and localism becomes increasingly important in the larger framework of neo-imperial geopolitics, sf – with its (potentially) critical examination of exploration, exploitation, and technology – allows for innovative tools and techniques in IR pedagogy. Science fiction is the genre of the unknown, but imaginable, and as a result ‘contemplates possible futures’ (Gunn 2014, p. 34). Through its ‘roots in the practice of philosophical speculation’, sf is ‘eminently constructive’ in addressing questions that a given society is just beginning to ask, whether these are related to revolutionary change, imperial decay, environmental disaster, or impending dystopia (Paik 2010, p. 2). Furthermore, sf can ‘mediate real social dilemma through imaginary resolutions’ (Csicsery-Ronay 2003, p. 234), thus making the case for exposing potential opinion leaders in the field of IR to the questions it addresses. The genre also has a long history of using allegory to critique the actions of political elites, at both national and international level. Speaking generally of all post-9/11 ‘geopolitical popular culture’ (Purcell et al. 2010), the pro-hegemony orientation of mainstream visual media (films, television programmes, video games) typically serve to reinforce notions of a besieged, freedom-loving ‘West’ (a common refrain of the Bush-Blair administrations), while other platforms (novels, comic books/graphic novels and popular music) may provide a more nuanced approach to issues of geo-power or function as pillars of hegemony. Science fiction – a genre that is prevalent across many of these media platforms – arguably allows for a greater level of ideological elasticity than other geopolitically inclined genres, such as action-thrillers, spy fiction or (transnational) crime drama. Given that sf is often allegorical in nature, these works of popular culture more easily allow for alternative readings. Comparing sf to the Bourne films (2002-2012) or the television series 24 (2001-2010), for example, it is much easier to prompt readings ‘across’ the text, as well as ‘against’ the text, in addition to reading ‘with’ the text (see Unsworth 2011). Thus, sf can be employed as a gateway to examining imperial geopolitics from a critical perspective, allowing students to interrogate the content at some distance and developing skills to address agency, representation, intertextuality and discourse analysis. Needless to say, most students also find the use of popular culture in the classroom make for a more ‘interesting’ experience, a non-trivial issue in current era of higher education’s move towards the ‘student as customer’. Specific to the subfield of imperial geopolitics, sf speaks truth to power just as easily as it reinforces existing hegemonies (and in some cases, imagines new ones). As a genre ‘obsessed with colonialism and imperial adventure’, sf frequently inverts the genuine threat that Euro-American imperialism has posed to the non-white peoples of the world, presenting instead an imaginary realm where ‘white people’ are threatened with subjugation or annihilation by a hostile alien force; although it is important to note that a significant portion of sf can be read as anti-colonial in nature (Berlatsky 2014). Consequently, the instructor seeking to promote learning outcomes that critically assess questions of power and privilege must tread lightly when using sf. Regardless of the political orientation of the texts, sf represents a deep reservoir for probing the vagaries of imperial geopolitics, and – if used properly – opens the door to sophisticated analysis of international relations and geopolitics in the classroom. Why do students study IR? The reasons and rationales are legion: to further career plans in government service/transnational industry/NGOs, to pursue an advanced degree in the field, to learn a bit more about how the ‘world actually works’, to fulfill a degree requirement, or simply because the course fits one’s schedule. My IR/geopolitics teaching experience is a roughly equal mix between US undergraduates who are pursuing non-related degrees (STEM fields, criminal justice, professional communications, etc.) and predominantly US graduate students who are more focused on the practical applications of the discipline (policy-making, military affairs, etc.). Given that the latter population tends to have a solid grounding in the inner workings of geopolitics, I will be focusing my analysis on the former group (full disclosure: as a researcher operating in the subfield of ‘popular geopolitic’, I am more prone to the use of popular culture in my lectures than others teaching the same subject matter). Over the past decade I have developed a number of tactics and strategies for engaging these students in substantive discussions and debates on complex topics associated with the history of imperialism, geopolitical thinking and the relationship between territory, space and power. During this period, the vast majority of these students have shared a common foundational experience with IR: their first experience with foreign affairs – and the outside world more generally – was 9/11. Given this important reality, sf narratives of extraterritorial, even existential, threats from alien realms beyond the ken of the ‘everyday American’ tend to provoke strong emotions. With this emotion comes the opportunity to engage in productive analyses of popular-culture renderings of ‘geo-power’, i.e. how symbolic geographies, agents and objects are ‘arranged, presented and projected’ in such a way that they reinforce or tear down ‘power-knowledge relations’ in the contemporary world (Ó Tuathail 1996, p. 10). Film analysis is perhaps the most common form of bringing sf into the IR/geopolitics classroom. Cinema allows for greater emotional effect than would be possible through standard approaches to teaching geopolitics and also levels the playing field for discussions, establishing a space where debate and exchange of ideas can occur more readily. Students are typically well versed in the aesthetic and political underpinnings of the medium of cinema, having been exposed to introductory elements of film theory in a variety of courses (modern languages, sociology, etc.). As Weber points out, instructors also benefit from the growing sophistication of the Gen-Y and millennials’ fluency in ‘visual culture’, which she argues is primarily autodidactic. Writing in 2001, she states, ‘Not only do I find that the current generation of eighteen- to twenty-year-olds are better readers and writers of visual images than I am, I also find that they understand how to approach these media critically’ (Weber 2001, p. 282). Yoking these skills to in-class film analysis can thus prove fruitful, though not without its own pitfalls. In addition to Weber, a number of IR instructors have penned essays about their own ‘filmic IR’ experiences in the classroom (Webber 2005; Nexon and Neumann 2006; Ruane and James 2008; Engert and Spencer 2009); however, I do not wish to recapitulate that analysis here. Instead, I will focus on a rather narrow subset of such pedagogy: using sf to ‘talk about’ imperial geopolitics in a critical way. Most students, whether or not they are fans of sf, are generally familiar with the franchises and narrative arcs of Star Trek (1966-) and Star Wars (1977-). Given this resonance, I often use these media to open my lectures on imperial geopolitics. In class discussions about Star Wars, I challenge students to make connections between the films and geopolitics in the context of the Second Cold War and Global War on Terror. Whereas most students will naturally identify the US with the ‘Rebel Alliance’ of the first three films (typically in the context of the American Revolution) and the ‘Empire’ with the Soviet Union, I also challenge this reading by encouraging debates on core-periphery geopolitics (Flint 2001), specifically assessing the imperial might of the United States and the various systems of global governance Washington introduced in the post-WWII era. This critical analysis of the Pax Americana and other forms of neoliberal hegemony via sf typically begins as light-hearted foray into the fantastic, but can be quickly and effectively converted into a girding for asking serious questions about US foreign policy in places like the Philippines, the Congo and Chile. Using the second triad of Star Wars films (1999-2005), I encourage students to excavate the geopolitics of the Separatist Alliance versus the Galactic Republic. I also ask my students to evaluate the geopolitical overtones of (the once-and-future Darth Vader) Anakin Skywalker’s statement to his former mentor, Obi-Wan Kenobi, ‘If you’re not with me, you’re my enemy’, showing the scene alongside George W. Bush’s post-9/11 Manichaean admonition to his allies and enemies alike that ‘either you are with us, or you are with the terrorists’. Star Trek – generally accepted as a pop-culture paean to ‘peaceful exploration’ – can be read with the text, providing an entry point for discussing the geopolitical alliances of NATO (qua the United Federation of Planets) and the Warsaw Pact (qua the Klingon or Romulan empires); alternatively, students can be challenged to read either across or against the text to assess the neo-colonial actions of ‘Starfleet’ (employing the Star Trek tropes of ‘First Contact’, the ‘Neutral Zone’, etc. ), as well as embedded hierarchies of ‘race’ via relations between the various ‘species’ with the Federation. While problematic, it is also possible to introduce Said’s (1979) concept of Orientalism in discussions of how the Federation (led by its mostly white humans) imagines alien zones like the Klingon Homeworld or the hive-like Borg vessels. While it is logistically impossible to encompass the ideological evolution of the Star Trek franchise over the past half-century (see Weldes 1999), I do provide a brief analysis of how changing orientations of the series towards geopolitical conquest and international conflict ground the students in the ways world politics influences popular culture (as well as the reverse), e.g. the making of peace with the Klingons in Star Trek VI: The Undiscovered Country (1991) and reimagining of Khan as a terrorist in Star Trek: Into Darkness (2013). The goal of employing these pop-culture products to talk about geo-power is not to produce an objective understanding of George Lucas’ or Gene Roddenberry’s galactic realms, but instead to promote intersubjective and intertextual knowledge, which in turn enables students to develop their geopolitical vocabulary and apply it to the real world. Other popular sf films also address normative questions associated with (neo)imperial geopolitics. While overly simplistic in its representations of colonisation and resource exploitation, James Cameron’s Avatar (2009) does offer the IR student a filmic perspective on Western imperial disregard for the lifeways, knowledge and natural environments of indigenous peoples. Neill Blomkamp’s District 9 (2009) is even more useful as a tool for engaging issues of the politics of colonial space, the discourse of ‘going native’, the sexualised politics of empire, and mediatisation of extreme ‘Otherness’; given the film’s setting in South Africa, the allegory of apartheid is extremely powerful inter-generation tool for connecting the experiences of the instructor (who likely remembers apartheid) to the student (likely born after its demise). The reboot of the television series Battlestar Galactica (2003-2009) is also a useful vehicle for critically interrogating the ‘reassertion of imperial reason’ (Slater 2011) following the US-led invasions of Afghanistan and Iraq, especially through the series’ quasi-valorisation of suicide terrorism as tool of asymmetrical warfare. Through the use of active learning-style debates on these subjects, sf becomes a doorway for analysis, synthesis and evaluation of real-world geopolitical outcomes. As Engert and Spencer (2009) point out, film (and its small-screen cousin TV) enables students engage with issues, events, identities and narratives in IR and geopolitics. By focusing on sf, which imagines potential realities, students can be encouraged to see territorial power and geopolitics in a new light, making it easier for these students to subsequently critique the normative orientations of neo-imperial geopolitical thinkers they will be assigned to read in the course (including Zbigniew Brzezinski, Robert Kaplan and Parag Khanna). Use of visual media, however, is not the only method for incorporating popular culture into study of geopolitics. Personally, the sf novel has proved a valuable pedagogical resource, and one which promotes deeper engagement with the highly complex issues in changing geopolitical structure. Frank Herbert’s Dune (1965), ‘a multi-faceted struggle between an archaic, feudal, and ossified galactic Imperium and a vital, meritocratic, and adaptable desert people’ (DiTommaso 2007, p. 269), remains a seminal text for such pedagogy, especially when introducing IR students to Machiavellian geopolitics (see Mulcahy 1996); however, I have also used the anti-imperialist cartographies of China Miéville’s fiction to precipitate debates about Britain’s imperial past and ‘progressive’ geopolitical alternatives. Additionally, I have employed Paolo Bacigalupi’s The Windup Girl (2009) to introduce students to the quasi-imperial geo-economic power of transnational corporations (see Luttwak 1990). Based on my own scholarship on the geopolitics of zombiism (Saunders 2012; Saunders 2013), and making use of the growing pedagogical literature on bringing zombies into the IR classroom (Drezner 2011; Blanton 2013; Hannah and Wilkinson 2014), I frequently assign my students Max Brooks’ World War Z (2006) (WWZ). Unlike the 2013 film, WWZ, appropriately subtitled An Oral History of the Zombie War, presents a cornucopia of critical geopolitical themes, including derisive assessments of Chinese relations with sub-Saharan Africa, the US embargo on Cuba and the United Nations’ (in)capacity for global governance. Resulting from the current ‘zombie turn’ in popular culture (and IR scholarship), the walking dead provide an excellent foray into questions of securitisation, counter-terrorism and environmental security, all key topics that can be linked back to neo-imperial geopolitical visions and codes, as well as power structures that have been implemented since the end of the Cold War. I will end on a cautionary note by assessing the potential risks of employing sf as tool for talking about imperial geopolitics. As a literary genre deeply imbricated in the projection of imperial power, sf presents a double-edged sword for instructors seeking to promote critical geopolitics in the IR classroom. While effective readings across and against texts can promote critical thinking, there is the constant risk that sf readings will serve to reinforce existing stereotypes, marginalise counter-hegemonic readings of the past and essentialise non-Western peoples and spaces (Hannah and Wilkinson 2014). Yet despite such caveats, sf presents a powerful medium for engaging students in critical analysis of imperial geopolitics. Barber, B.R. (1996) Jihad vs. McWorld: How Globalism and Tribalism are Reshaping the World, New York: Ballantine Books. Berlatsky, N. (2014) ‘Why Sci-Fi Keeps Imagining the Subjugation of White People’, The Atlantic, <http://www.theatlantic.com/entertainment/archive/2014/2004/why-sci-fi-keeps-imagining-the-enslavement-of-white-people/361173/>. Blanton, R.G. (2013) ‘Zombies and International Relations: A Simple Guide for Bringing the Undead into Your Classroom’, International Studies Perspectives, 14(1): 1-13. Brooks, M. (2006) World War Z: An Oral History of the Zombie War, New York: Three Rivers Press. Buzan, B. (2010) ‘America in Space: The International Relations of Star Trek and Battlestar Galactica‘, Millennium: Journal of International Studies, 39(1): 175-180. Csicsery-Ronay, I. (2003) ‘Science Fiction and Empire’, Science Fiction Studies, 30(2): 231-245. DiTommaso, L. (2007) ‘The Articulation of Imperial Decadence and Decline in Epic Science Fiction’, Extrapolation, 48: 267-292. Dittmer, J. (2010) Popular Culture, Geopolitics, and Identity, Lanham, MD: Rowman & Littlefield. Dixit, P. (2012) ‘Relating to Difference: Aliens and Alienness in Doctor Who and International Relations’, International Studies Perspectives, 13(3): 289-306. Drezner, D.W. (2011) Theories of International Politics and Zombies, Princeton and Oxford: Princeton University Press. Engert, S. and Spencer, A. (2009) ‘International Relations at the Movies: Teaching and Learning about International Politics through Film’, Perspectives, 17(1): 83-104. Flint, C. (2001) ‘The Geopolitics of Laughter and Forgetting: A World-Systems Interpretation of the Post-Modern Geopolitical Condition’, Geopolitics, 6(3): 1-16. Grayson, K., Davies, M. and Philpott, S. (2009) ‘Pop Goes IR? Researching the Popular Culture World Politics Continuum’, Politics, 29(3): 155-163. Gunn, E. (2014) ‘Brave New Words’, Smithsonian, 45(2): 34-37. Gupta, A. (2013) ‘Doctor Who and Race: Reflections on the Change of Britain’s Status in the International System’, Round Table, 102(1): 41-50. Hannah, E. and Wilkinson, R. (2014) ‘Zombies and IR: A Critical Reading’, Politics. Available online, <http://onlinelibrary.wiley.com/doi/10.1111/1467-9256.12077/full [accessed 30 March 2015]. Kiersey, N.J. and Neumann, I.B. (2013) Battlestar Galactica and International Relations, London: Routledge. Kramer, P. (1999) ‘Star Wars’, History Today, 49(3): 41-46. Luttwak, E. (1990) ‘From Geopolitics to Geoeconomics: Logic of Conflict, Grammar of Commerce’, The National Interest, 20 (Summer): 17-23. May, J. (2010) ‘Zombie Geographies and the Undead City’, Social & Cultural Geography, 11(3): 285-298. Morrissette, J.J. (2014) ‘Zombies, International Relations, and the Production of Danger: Critical Security Studies versus the Living Dead’, Studies in Popular Culture, 36(2): 1-28. Mulcahy, K. (1996) ‘The Prince on Arrakis: Frank Herbert’s Diaiogue with Machiavelli’, Extrapolation, 37(1): 22-36. Nexon, D.H. and Neumann, I.B. (2006) Harry Potter and International Relations, Lanham, MD: Rowman & Littlefield. Ó Tuathail, G. (1996) Critical Geopolitics, Abingdon, UK: Taylor & Francis. Paik, P.Y. (2010) From Utopia to Apocalypse: Science Fiction and the Politics of Catastrophe, Minneapolis and London: University of Minnesota Press. Purcell, D., Scott Brown, M. and Gokmen, M. (2010) ‘Achmed the Dead Terrorist and Humor in Popular Geopolitics’, Geoforum, 75: 373-385. Rieder, J. (2008) Colonialism and the Emergence of Science Fiction, Middletown, CT: Wesleyan University Press. Ruane, A.E. and James, P. (2008) ‘The International Relations of Middle-earth: Learning from Lord of the Rings‘, International Studies Perspectives, 9(4): 377-394. Said, E. (1979) Orientalism, New York: Vintage Books. Saunders, R.A. (2012) ‘Undead Spaces: Fear, Globalisation, and the Popular Geopolitics of Zombiism’, Geopolitics, 17(1): 80-104. Saunders, R.A. (2013) ‘Zombies in the Colonies: Imperialism and Contestation of Ethno-Political Space in Max Brooks’ The Zombie Survival Guide‘, in Montin, S. and Tsitas, E. (eds) Monstrous Geographies: Places and Spaces of the Monstrous, Oxford: Inter-Disciplinary Press, 19-46. Slater, D. (2011) ‘The Imperial Present and the Geopolitics of Power’, Geopolitics, 1(1): 191-205. Unsworth, L. (2011) Multimodal Semiotics: Functional Analysis in Contexts of Education, London and New York: Continuum. Webber, J. (2005) ‘Independence Day as a Cosmopolitan Moment: Teaching International Relations’, International Studies Perspectives, 6(3): 374-392. Weber, C. (2001) ‘The Highs and Lows of Teaching IR Theory: Using Popular Films for Theoretical Critique’, International Studies Perspectives, 2(3): 281-287. Weldes, J. (1999) ‘Going Cultural: Star Trek, State Action, and Popular Culture’, Millennium: Journal of International Studies, 28(1): 117-134.